Fujimoto Auto Parts offers enhanced durability. Superior quality matching Japanese products. Only using the best raw materials and insists on not using recycled materials. All the products have passed the quality, precision and durability tests. Fujimoto Auto Parts is your designated brand. All products are made by manufacturers that have more than 40 years of experience. Exclusive to you, no imitations on the market. Fujimoto Auto Parts is your one-stop shop. 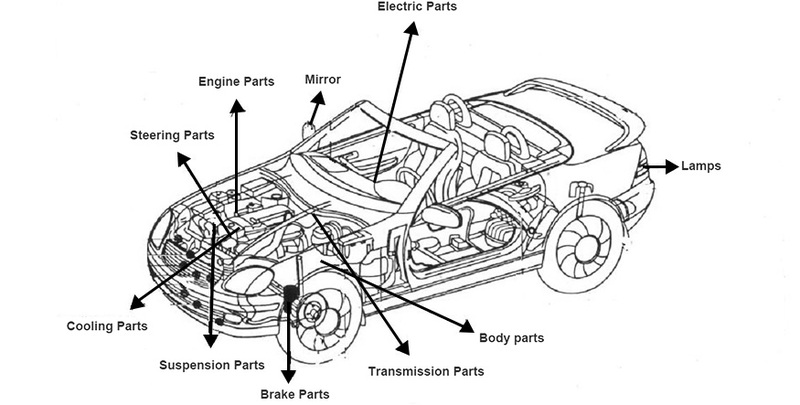 Offers auto parts for various type of vehicle. We have over 125,000 types of Auto Parts. 24hrs customer service who have more than 10 years of experience. Why Choose King Auto Parts ? Our experienced team can load more goods in any container compared to other suppliers to save on your ocean freight costs. Fastest delivery time compared to other suppliers in Taiwan. Our professional team with over 28 years of experience can assist you with part specifications for any vehicle in any market. We can supply all parts available in Taiwan including body parts, suspension parts, brake parts, steering parts, engine parts and more. Quality guarantee, our parts are 100% Made in Taiwan.